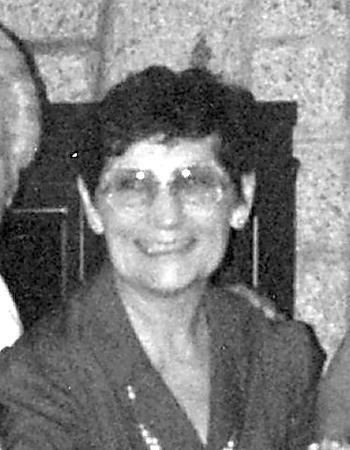 Cecelia M. (Szydlo) Pisarz, 93, beloved wife of Theodore Pisarz of New Britain, passed away Sunday, Feb. 3, 2019, after a brief illness. Cecelia was born in Meriden and was the daughter to the late George and Katherine (Banack) Szydlo, residing most of her life in New Britain. She retired from Pratt & Whitney in North Haven. She is also survived by a sister, Helen Hutnik of East Berlin, and a brother, Robert Szydlo of Newington, and extended family. Cecelia was also predeceased by a brother, Thaddeus Szydlo of South Beach, Ore.
A time of visitation will begin Monday, Feb. 11, 2019, from 8-9 a.m. at New Britain Memorial Donald D. Sagarino Funeral Home, 444 Farmington Ave., New Britain, followed by her funeral liturgy at 9:30 a.m. in St. Francis of Assisi Church. Entombment will follow in St. Mary Mausoleum. For directions or online messages, please visit newbritainsagarino.com.